Dr. Maya Angelou was one of those rare individuals that almost everytime you heard her speak, you could sit pondering over what she had said long after she’d said it, the kind of person that speaks so eloquently with words of such worldly wisdom. Dr. Maya Angelou was a hugely loved American poet, singer, memoirist, and civil rights activist. She published seven autobiographies, three books of essays, several books of poetry, and is credited with a list of plays, movies and television shows spanning over 50 years. 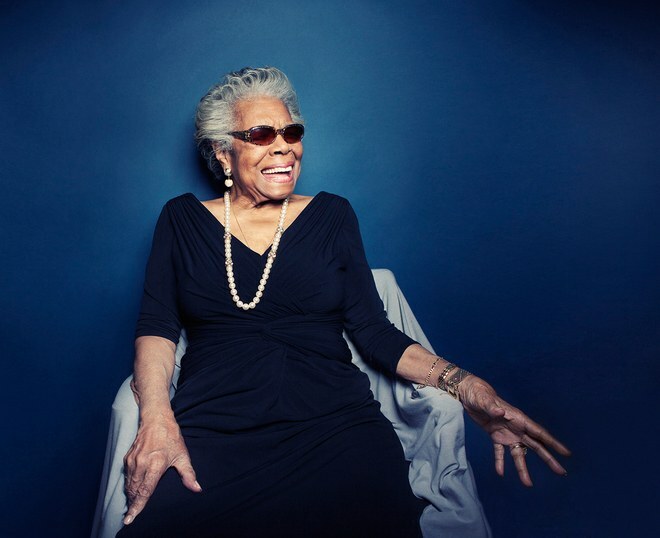 Today would’ve been Maya’s birthday so to celebrate here are 10 Life Lessons from the incredible Dr. Maya Agelou..
As an activist Maya Angelou was one of the Civil Rights Movement’s most prominent women, working alongside Martin Luther King Jr. and Malcolm X. Maya devoted her life to being a voice for women and black people and perhaps most of all working tirelessly towards a loving, open-hearted vision of humanity where everybody could find their place. On May 28, 2014, the great Maya Angelou passed away at the age of 86, leaving a legacy that will touch the hearts of many for decades to come.